There’s no better feeling than bagging a bargain on a pre-loved treasure and this weekend is the opportunity to do just that when Ararat host’s the annual Garage Sale Trail. The national reuse and community initiative – now in its eight year – is offering up a trove of delightfully curious, collectable and colourful finds for shoppers across the nation. Weird and wonderful aside, the Garage Sale Trail provides thousands of Australians with a chance to re-home items that may otherwise end up in landfill. 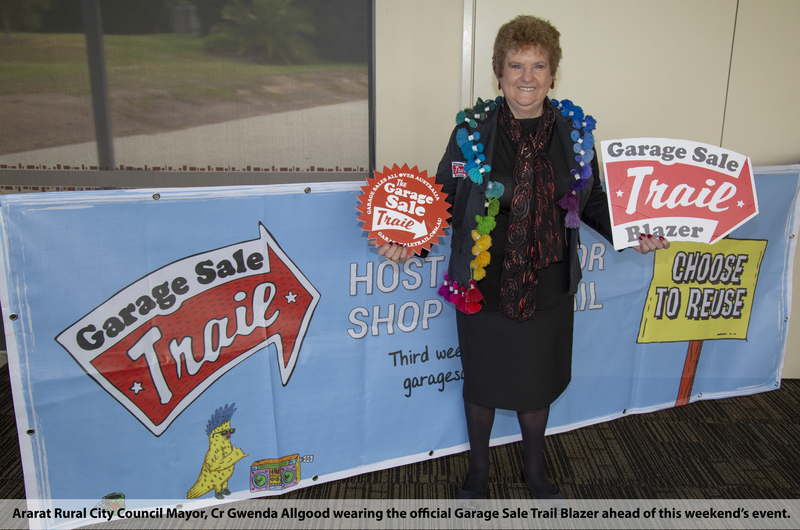 “Reusing or selling stuff you no longer want at a garage sale is a terrific way to do your bit for the environment and a great way to meet the neighbours too,” Ararat Rural City Council Mayor, Cr Gwenda Allgood said. “We're really pleased to be involved in this grass roots event. It is something that is growing year-on-year, just like the reuse movement.